People traveling through Charlotte Street in Sydney this past few months may have been curious to see some activity in the old Bargain Shop building. The spacious building at the centre of downtown has been vacant for years and its large empty windows haven't been easy to look at. 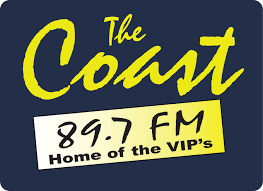 Enter goCapeBreton.com. 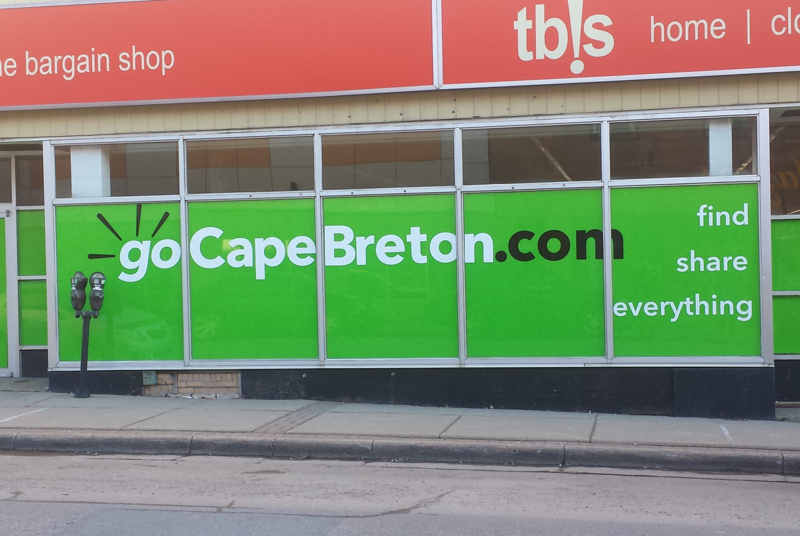 The team covered the windows in a pleasant and vibrant green vinyl and applied the goCapeBreton.com logo on the main windows. At the same time, another local group added local art in the corner window. All in all, a small but noticable improvement to what's now being called the Sydney Waterfront District. 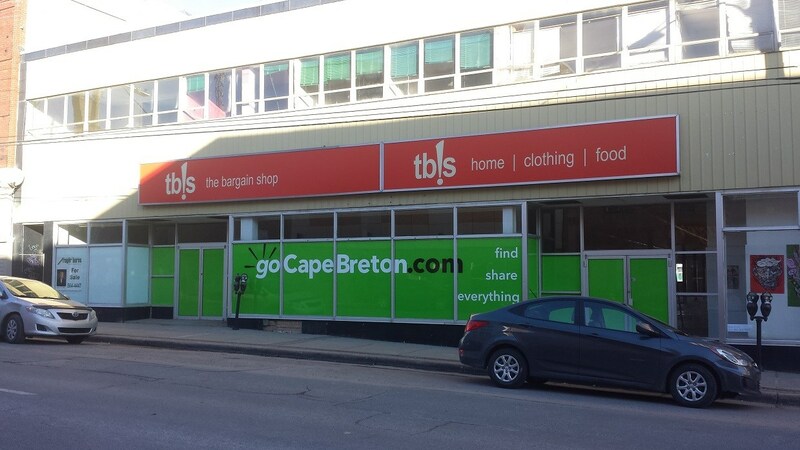 The building is still for sale and is listed by Roger Burns Realty at (902) 564-4447. In the Sydney Waterfront District, on Charlotte Street. I think this is great. 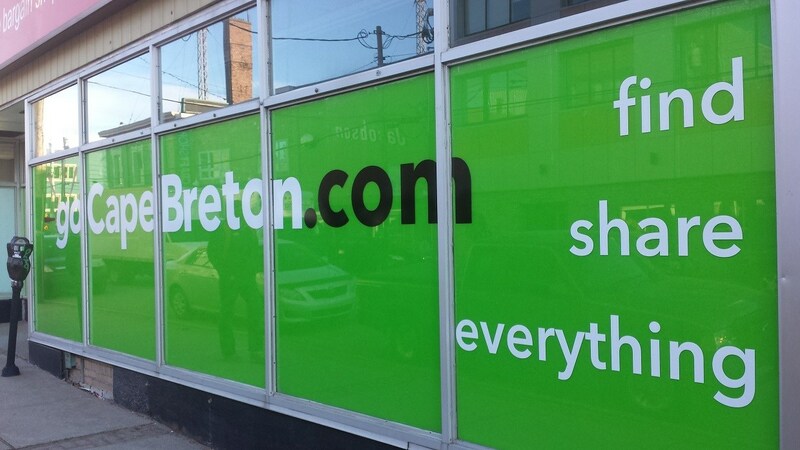 An attractive symbol of Cape Breton's DIY Rebirth right on Charlotte Street, courtesy of goCapeBreton. Well done, All. Very true Peter! The collective epiphany! Collective epiphany? Is that a thing now? I must do more to keep up! Well done. Thanks for taking the initiative to beautify our downtown while adding a new rule to sineage, recency,frequency and now beautification.